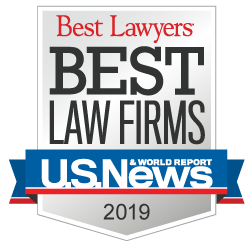 Kenneth T. Lumb, who joined Corboy & Demetrio as an associate in 1995 after a tour of duty in the United States Army, has devoted his career to representing plaintiffs in medical malpractice and serious personal injury cases. Ken’s skills as a trial lawyer and advocate for our clients exemplify the firm’s mission to provide the highest quality legal services to those most in need. Ken honed his skills serving as captain in the Army’s Judge Advocate General’s Corps (JAG Corps) where he served as the Medical Claims Judge Advocate at Walter Reed Army Medical Center in Washington, D.C. His duties included medical malpractice defense and hospital law. He was subsequently promoted to major in the Army reserve. In 2003, he was mobilized in support of Operation “Iraqi Freedom” and spent six months on active duty at Walter Reed. For his service on behalf of wounded soldiers and their families, Ken received a Meritorious Service medal. At Corboy & Demetrio, Ken has obtained numerous multi-million dollar settlements and verdicts, including a $7 million settlement for a woman who was injured when she was struck by a malfunctioning automatic door as she entered a Target store and a $4.25 million verdict on behalf of the children of a woman who died after a cervical biopsy at a Veterans Administration hospital. In 2014-2015, Ken was selected as an Illinois Super Lawyer. He is a member of the Leading Lawyers Network, a distinction earned by fewer than 5% of all lawyers in Illinois, and has an AV rating - the highest possible for any attorney - from the Martindale-Hubbell Law Directory. In 2005, Ken was honored and profiled by the Law Bulletin Publishing Company as one of "40 Illinois Attorneys Under 40 to Watch." In 2011, Ken received the Lawyers who Care about Military Families Award from the Illinois State Bar Association for his work on behalf of service members and their families. Ken is an active member of many legal organizations, including the American Bar Association, Chicago Bar Association and American Association for Justice, serving as Vice Chair of AAJ's Federal Tort & Military Advocacy Section. Ken is also active in the Illinois State Bar Association, serving as Vice Chair and CLE coordinator of the Standing Committee on Military Affairs, and the Illinois Trial Lawyers Association, serving on its Medical Negligence Committee. Ken is an active member of his community, serving on the Board of Directors of the Spinal Cord Injury Association of Illinois and the Board of Directors of Anima (Young Singers of Greater Chicago). Ken is a frequent lecturer on the Federal Tort Claims Act, medical malpractice litigation, nursing home litigation, military law and other legal topics. A consummate writer, Ken co-authors the column “MedMal Matters” in Chicago Lawyer magazine. 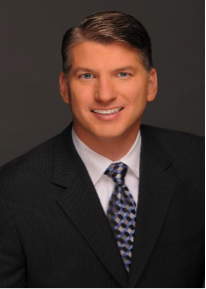 Ken is a graduate of the University of Notre Dame and DePaul University College of Law. In addition to being admitted to federal and state courts in Illinois, Ken is admitted to the U.S. Army Court of Military Review. We warmly welcome Ken as our partner.